Even though it generally doesn’t agree with my body, I absolutely love Apple drinks! 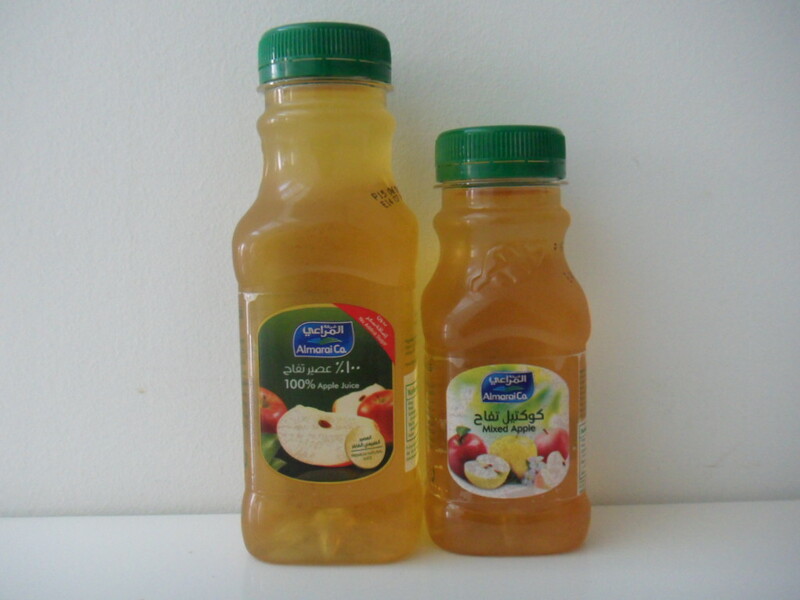 For reference, the smaller apple drink is 200ml and the larger one is 300ml. My sister stashes these (200ml) everywhere at her home (and ours) for her kids. Naturally, I decided to try out the “Mixed Berry” because I’m also quite partial to berries. It tasted vile! When you’ve had fresh berry juice (with a hint of honey) at one of those charming cafes (high up in the Lebanese mountains), this artificial stuff doesn’t even compare. Next, I tried the “Mixed Apple” which didn’t taste all that great. As I’ve mentioned earlier, I don’t like the taste of yellow apples. 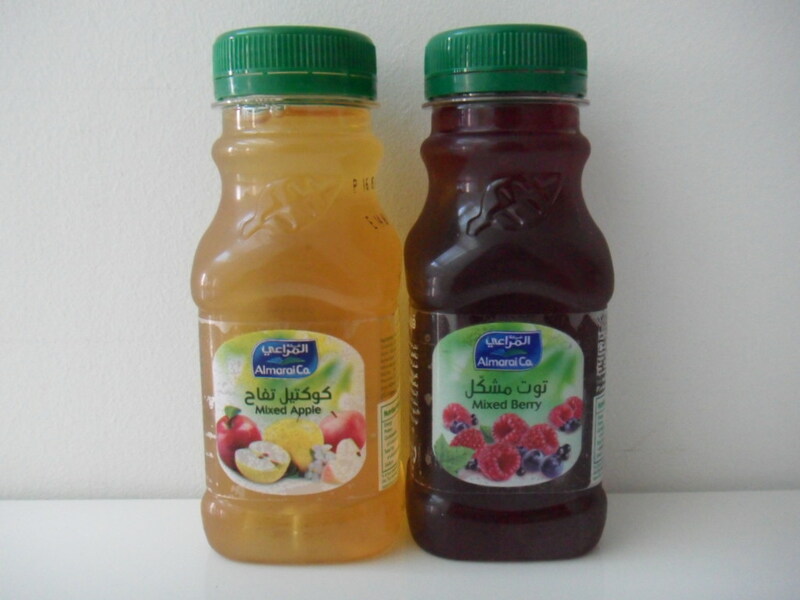 I was getting bored of KDD Apple Juice and I wanted a better alternative. 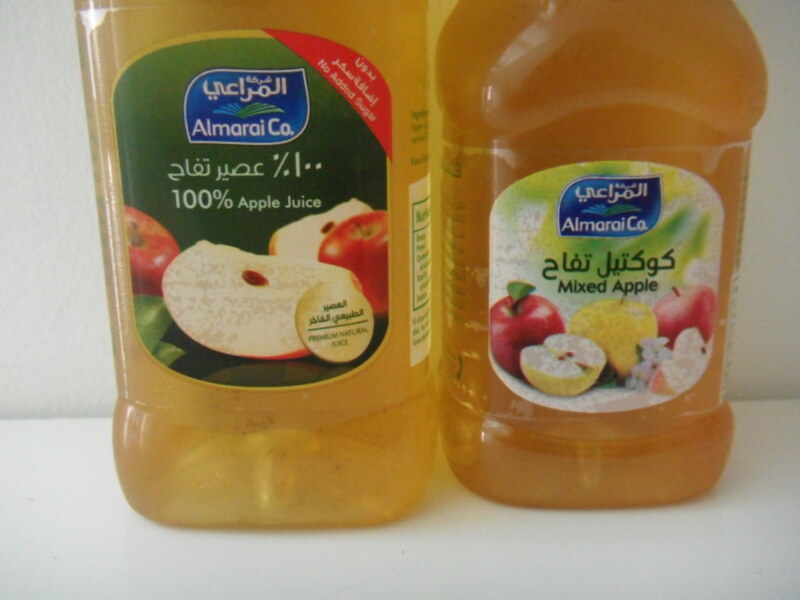 So I went out and got the 100% Apple Juice from Almarai instead. It was only available in the larger (300ml) size which suited me just fine. Since the theme on my blog for this month seems to be Apples, that’s mostly what I’ve been drinking, all month. I’m glad to say that this 100% Apple Juice fits the bills, and hits the spot! The only thing that would make this better, was if it was made out of green apples, as opposed to red apples. In any case, I love sipping on Apple Juice in between bites of a melted-cheese sandwich, as I think the flavors compliment each other.